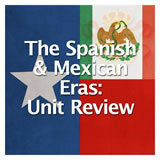 Students study the factors affecting colonization of Texas during the Mexican era. 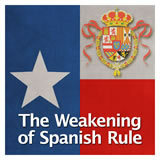 They learn about the various Mexican colonization laws. Then they learn about the motivations for Anglo-American settlers to come to Texas. 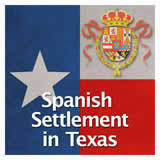 Finally, they learn about the role of empresarios in the colonization of Texas. 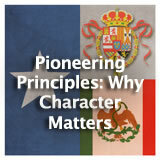 In this experience, students study the factors affecting colonization of Texas during the Mexican era. They learn about the various Mexican colonization laws. Then they learn about the motivations for Anglo-American settlers to come to Texas. 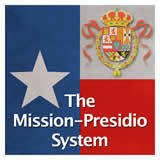 Finally, they learn about the role of empresarios in the colonization of Texas. 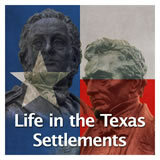 There are two general resources provided to students in the pack of all three experiences: a timeline of events in Texas history from 1826–1842 and a video (30 minutes). You can refer students to these resources at any point during these experiences. 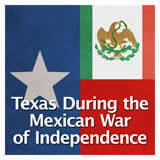 Discuss how Mexico’s independence from Spain affected the population in Texas. 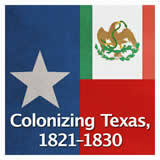 Identify how colonization laws impacted Texas. 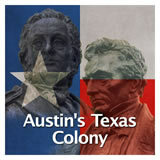 Analyze why people migrated to Texas. 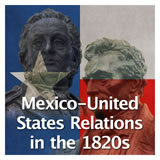 Identify the contributions that empresarios, such as Martin De Leon and Green DeWitt, had on the Mexican settlement of Texas. 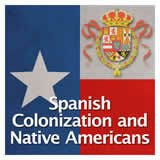 When the Spanish lost control of Texas, it had a population of about 7,000 colonists. By 1831, it had grown to about 20,000 settlers. In this experience, you will learn about the factors that affected this growth in population. The word “empresario” is Spanish for “entrepreneur.” If you are unfamiliar with the word “entrepreneur,” look it up in the dictionary. In a word or short phrase, post something that an entrepreneur might do. An entrepreneur is a person who organizes and manages any enterprise, especially a business, usually with considerable initiative and possible risk. Entrepreneurs are usually identified as founders of business, inventors of ideas who take them to market, and developers of new processes. After students learn about empresarios, they will be asked to explain the connection between empresarios and modern entrepreneurs.